The day I’ve been waiting for! The craft room. 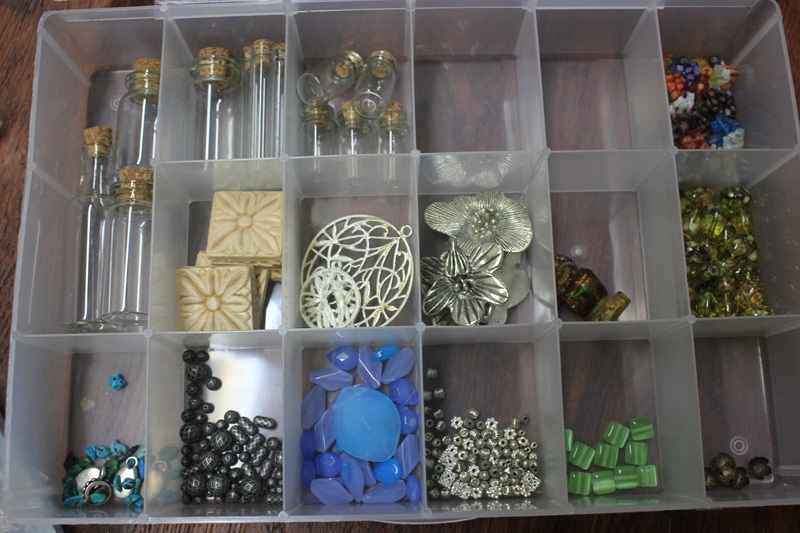 Nitty gritty jewelry sorting! So the jewelry items have been filtered out of the other craft categories and put into a generic jewelry pile! I have added and added…. and added! I know it goes to the jewelry category but what exactly is it? Wire? Beading? Pendant? Charm? Earring? Luckily I had a pile of theses amazing craft organizers staring me in the face just waiting to be put to work! I love theses things!! And boy did I ever have something to fill them with! Beads… Pendants for necklaces…..
All the makings for earrings….. Charms…. More fun stuff to put on necklaces…. I opened a lot of individual packages and put them into these great organizers for easy use. All set to go when the creativity starts to flow! I noticed this peg board behind some things on the workspace and thought it should be utilized. 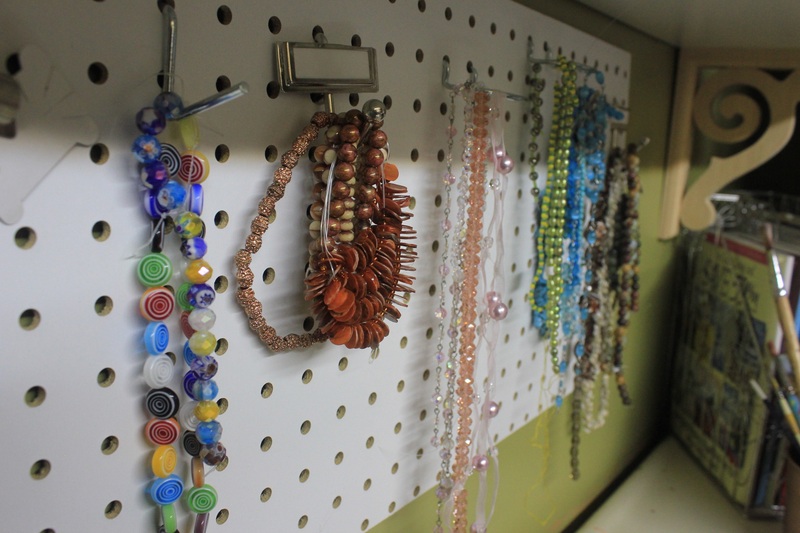 I put some hooks up and used them for the long strands of beads! Another great day wrangling things into a more organized existence! And another part of the craft room has been rediscovered! Yet again! Previous Previous post: Organizing to sell your home! Next Next post: Tidy Up That Garage Space!